I had a super great time this weekend at the Pearl City Carnival! Mahalo to the Pearl City community, as well as visitors to our community, for coming out with their ohana to have some fun and support our Pearl City Community Association and Pearl City High School's efforts to raise much needed funds in support of our Pearl City Complex Schools. Mahalo to Kyle Miyashiro who represented both the Pearl City Community Association and Pearl City High School while playing an integral role in the success of this weekend's Pearl City EK Fernandez Carnival at Pearl City High School. The carnival fundraiser was presented by the Pearl City Community Association and hosted by Pearl City High School. Kyle's PCHS students, along with PCHS faculty and staff, did an amazing job in their many roles and responsibilities throughout the weekend. Mahalo to the outstanding musical talents of our PCHS alumni who performed their hearts out, on stage, in the entertainment tent in front of a packed and appreciative crowd that included fellow alumni and their ohana. On Sunday, the entertainment tent was once again packed with adoring family and friends as performers from Pearl City High School and a few of our Pearl City Complex elementary schools performed flawlessly. Mahalo to all the student performers. i want to also thank Donna Smith and the E.K. Fernandez ohana for their hard work in making sure everyone had a great time and a memorable experience. A huge mahalo goes out to my fellow PCCA Board Members for their dedication in serving our Pearl City community and our students with fundraising events that include the annual Pearl City Carnival at Pearl City High School. Our PCCA goals in 2017 was to return the Pearl City Carnival to our community after a 25 year absence, while also concentrating our focus and direction on structuring the event as a fundraiser in support of our schools. 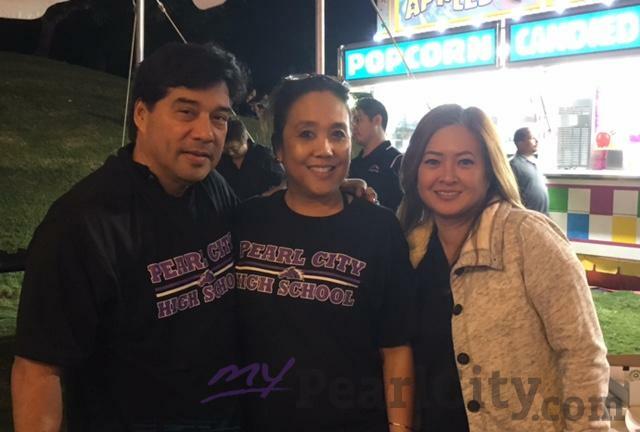 With our collaborative partnership with Pearl City High School, we have accomplished our mission and look forward to a bright future as the Pearl City Carnival grows and becomes, once again, an annual event that bonds the memories and experiences for those who live and grow up in Pearl City.